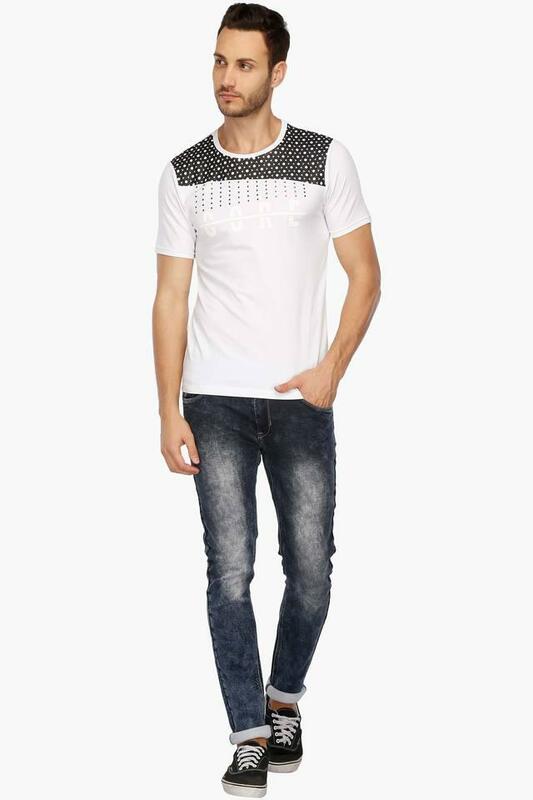 Add a dose of style to your clothing collection with this printed t-shirt brought to you by Rex Straut Jeans. It has short sleeves, rendering it a smart look while the round neck further enhances its overall design. Besides, it has been made of good quality fabric to make you feel comfy for long hours. 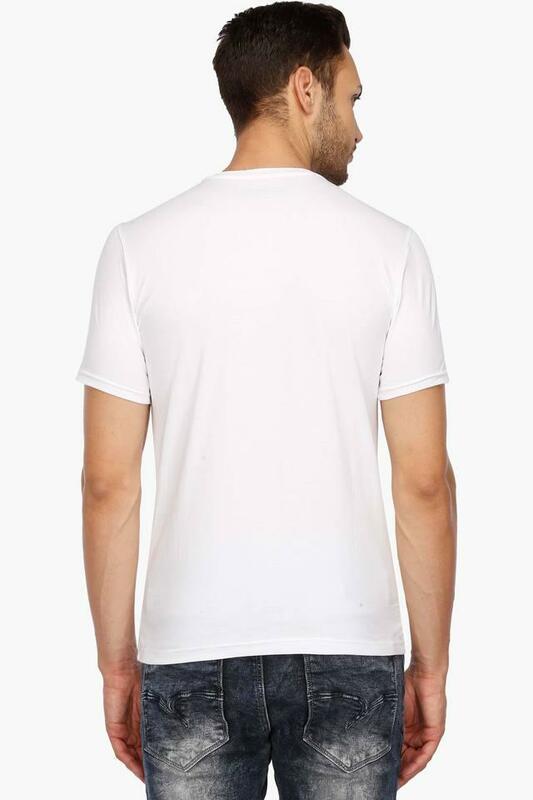 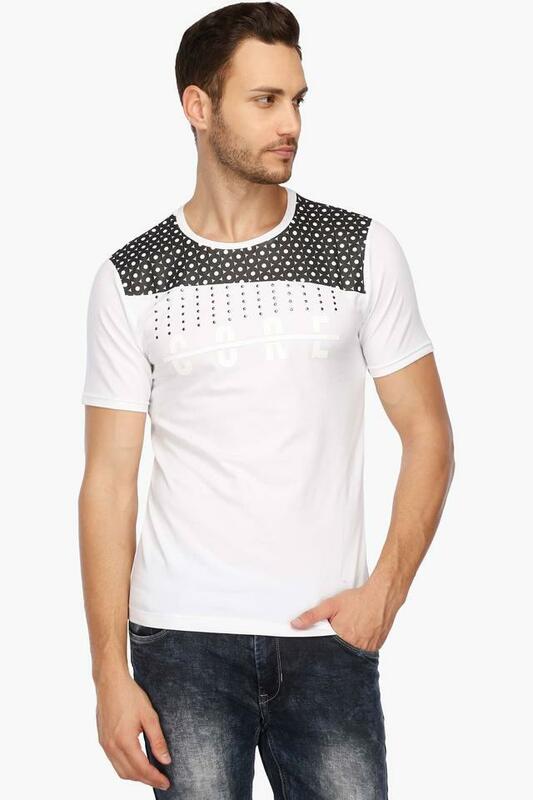 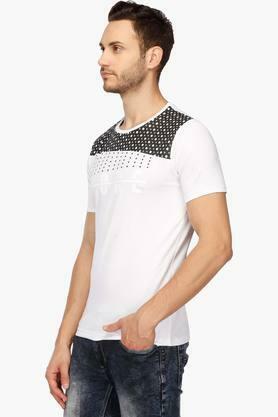 Accentuate your casual look by wearing this t-shirt from Rex Straut Jeans. Moreover, wearing it with a pair of jeans and lace up shoes will fetch compliments for your sense of style.